In reflecting on her own life, Nancy L. shares that despite all she’s faced, she’s had a wonderful life. The happiness she exudes is contagious. We enjoyed getting to know her better as she shared her story for Senior Spotlight. Nancy was born on February 23, 1931, and grew up in Bloomington, Illinois. She grew up the youngest of two sisters. Her sister, Barbara, was ten years older than her, but the age between them did not make a difference. Of course, sisters have their quarrels, but Nancy calls her sister her best friend. She shares that even later in life, the two were inseparable. Nancy’s mother was a beautiful and wonderful person. Her mother was an art teacher, but Nancy says her artistic abilities did not rub off on her or Barbara. Nancy was close with both of her parents, but she had a special bond with her father. He served as the City Clerk of Bloomington for over 16 years. When Nancy was 14, the family decided to move to California, and her father retired. She loved moving to California because it meant she no longer had to deal with the snow. Nancy later attended the University of Southern California to study business and secretarial. It was while attending USC that she met her first husband, Bill. Before attending USC, Bill was in the Navy but later worked for Standard Oil. This company would later become Chevron Oil. Due to his occupation, Nancy and Bill moved a lot. They lived in Bellevue, Washington and she worked for an insurance company on Mercer Island. Then they moved to Bakersfield, California. She worked for the city school district in Bakersfield. They lived in Taft, California, and Oregon before making a move to Calgary Alberta Canada. While living in Calgary, she worked for another insurance company. Her last job was with a construction company in Calgary, and she worked there for ten years. friends called her mom. Nancy also has five grandchildren and eight great-grandchildren. They all live in northern California, New Hampshire, and Arizona. She sees the ones that live in Northern California most often. She loves beginning a grandmother because you get to play and have fun with them and then send them home. After 30 years of marriage to Bill, he passed away from heart trouble. Nancy stayed in Calgary for some years after Bill passed because she enjoyed her job. After some time, her sister and brother-in-law got her and her second husband, Herbert together. They’d known one another for a few years because he was her brother-in-law’s sister’s husband. Unfortunately, his wife had also passed away. Nancy married Herbert and moved to Alabama. Herbert had two daughters, and Nancy already knew them from a young age. Nancy did a lot of traveling throughout the United States with both of her husbands. Herbert and Nancy spent time in Hawaii with her sister and brother-in-law. They did a few golfing vacations with larger groups. Nancy enjoyed playing golf. However, since she can no longer play herself, she enjoys watching it on TV. In addition to golf, Nancy also loves playing bingo at every opportunity. She also enjoyed working in her yard. After ten years of marriage, Herbert also passed away from heart problems. Nancy shares that both of her husbands were wonderful. She enjoyed the time she had with each of them. 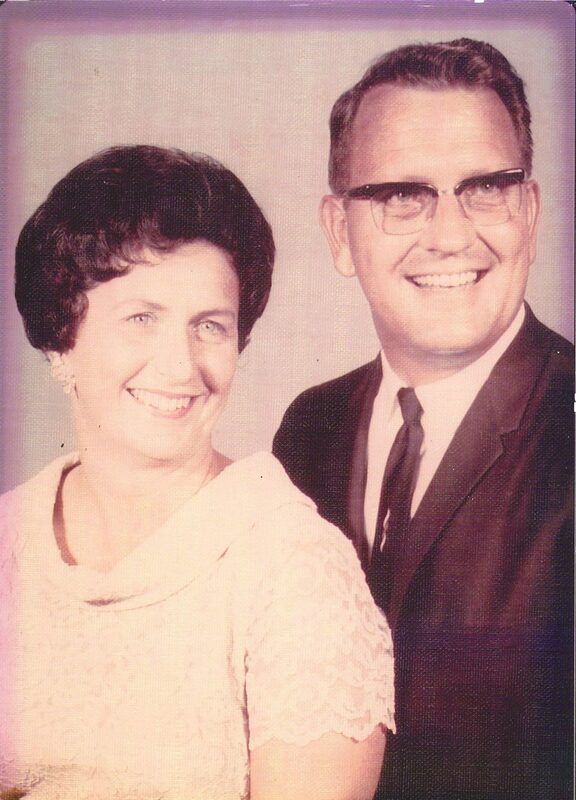 Both of her husbands were kind, gentle, and wonderful men. In 2004, her youngest son, Steven passed away from heart problems. Nancy lived with her oldest son and daughter-in-law here in California for two years before parting ways. She moved into Renaissance Village Rancho Belago and is very happy here. Nancy loves all the girls and wants to adopt them. She never had any girls, so it’s nice to spend time with them. 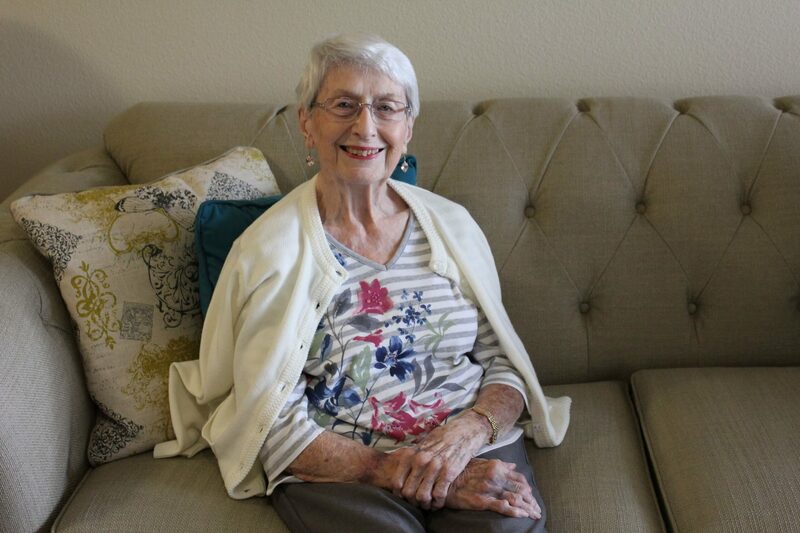 Nancy has lived in independent living communities before, but this is her first assisted living community. Nancy shares that the staff does a great job of assisting her and she enjoys living here.